Are you looking for a new approach? A recent survey found that Logosynthesis is a preferred treatment. 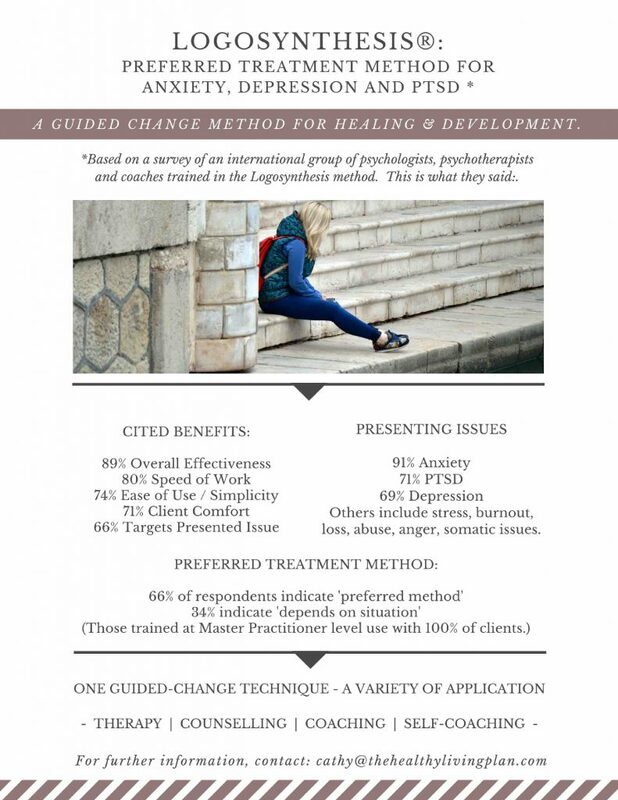 In November 2017, an international group of psychologists, psychotherapists and coaches trained in the Logosynthesis® method indicated that this was their preferred treatment. Presenting conditions include anxiety, depression, PTSD, burnout, anger management and others. Targets presented issue – 66%. The method can be used across a spectrum from therapy for trauma to coaching and self-coaching to build competence in personal and leadership development. Opt-in to receive further information. Watch an interview to learn more.